"At its core, this book is about socialist China's uses of science and technology to improve food production and the sociopolitical changes over time that have affected those involved in modern farming and agriculture. Cautioning that the Mao era was not one of unmitigated totalitarian oppression and ecological disaster, historian Schmalzer examines the complex relations of science and politics, raising such issues as who should be regarded as “scientists,” and how agriculture should be organized to maximize its benefits for all. Particularly interesting is the author’s investigation of the “rural scientific experiment movement." By comparing the fortunes of the “green revolution” in India and Africa, Schmalzer offers some unexpected political and social insights, contrasting US interests with those of the Chinese, who have also sought to bring their methods of agriculture and farming to third-world countries where politics is a highly visible concern on both sides of the capitalist-communist divide. Instructive and rewarding reading in recent Chinese history as well as the social politics of agriculture and farming in China and throughout the third world." "Right on cue, this new work reveals the multifaceted and complex nature of science in the PRC. 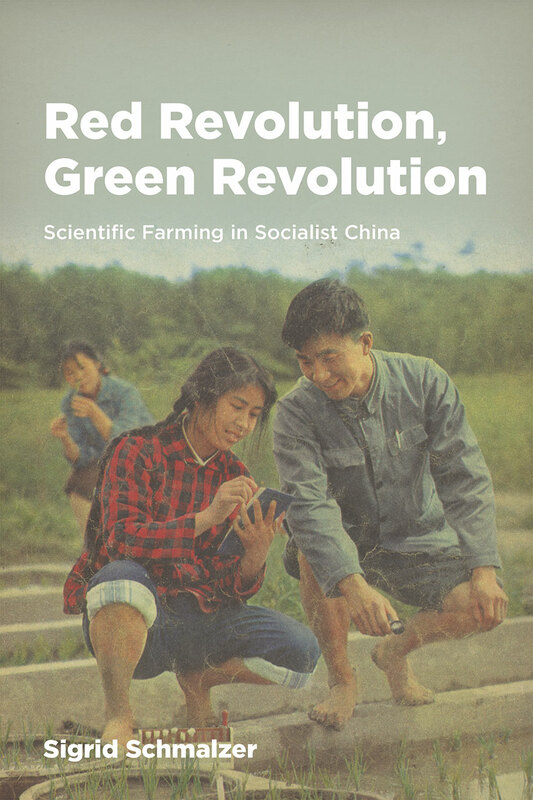 Red Revolution, Green Revolution looks at agricultural science and the unique and distinctive trajectory of the Chinese green revolution....demonstrates the manifold ways science filtered into the countryside and became the basis of the party’s interactions with the rural populace." "Agricultural science is inherently political. We may distrust the claim of technocrats and agribusiness that they conduct neutral research for the benefit of all, yet few of us would go so far as to advocate a full politicization of research, putting politics in command of laboratories and experimental fields. This, however, is what Maoist China did—and as Schmalzer demonstrates in her meticulously researched and beautifully written book, Maoist agricultural science worked, producing a socialist Green Revolution that was as impressive as the US-led Green Revolutions in India, Mexico, or the Philippines. Without romanticizing Maoist mass science, Schmalzer not only corrects the oft-repeated myth that Maoists were 'anti-science'; she shows that a different, more democratic and inclusive science was and remains possible."